One of the biggest misconceptions about child care is that it is just another form of child supervision, like babysitting. And in some cases, this may actually be true. Not all child care centers are accredited. And not all child care centers hold themselves up to the current standards of quality child care practices. The best way to determine the quality of a child care center is to learn how much emphasis is put on two things: safety and education. Educational childcare centers have programs and staff that are dedicated not only to day care supervision but also to the intellectual and social growth of the children in their care. Let’s take a look at some of the aspect of quality educational child care. Educational Childcare is much more than Daycare! “Daycare” and “Childcare” are terms that are often used interchangeably. In some instances, that is okay. But childcare, especially educational child care, offers more in the way of programs than traditional daycare. Daycare can best be described as a daily babysitting service. There is nothing wrong with traditional daycare. 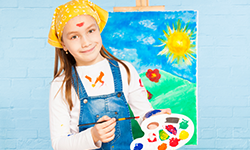 Children are supervised, fed and given some fun activities to do while their parents work. It is essentially out of home babysitting. But you may be looking for a little more for your child and the money that you will be spending. Educational childcare is a step above daycare. Educational Childcare offers programs and activities that contribute to your child’s growth and learning. Young Scholars Academy offers quality Educational Childcare! 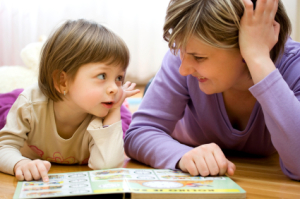 Educational childcare is usually reserved for children from infants to preschool age. But there are also some great programs that cater to school age children as well. Summer camp programs are often a great way to keep older kids engaged and learning during the summer break. But the most popular and most well-known type of educational childcare is preschool education. There are many benefits of preschool child care for both parents and students, including preparation for kindergarten, social engagement and cognitive development. Preschool is not just daycare. It is a place where your child transitions from the at home informal learning of early childhood, to the more formal classroom based learning of kindergarten and grade school. There are also great educational toddler programs that focus not only on play but also on learning and cognitive development and motor skills. Before enrolling your child in a child care program, don’t be afraid to ask the center staff exactly what their philosophy and curriculum is. If they are a quality child care center, they will gladly offer you their information and educational policies. Young Scholars Academy of Colorado Springs is dedicated to providing children with the quality educational childcare programs they deserve. Come check out all our awesome child care programs and contact us today. We look forward to hearing from you!